Amazon All Set To Invest Rs 2000 Cr for Creating Original Prime Video Content! Lured by the incredible potential of on-demand video market in India, and following the footsteps of Netflix, Amazon is all set to take a huge gamble by investing heavily for creating original videos under their Prime brand. As per reports coming in, it has been found that Amazon will invest close to $300 million or Rs 2000 crore for creating original Prime video content, tailor-made for India. Video creators in India and film producers must be rejoiced by this news, because when Amazon decides to invest in a niche, then it comes historical. Overall, it’s a great news for Indian entertainment industry, as such heavy funding will surely bring out the top talent and potential superstars. Last month, we had reported that Amazon will invest $5 billion for complete dominance in Indian ecommerce industry. It is still not clear whether this investment of $300 million for making Prime a force to reckon with is inclusive or exclusive of $5 billion commitment. 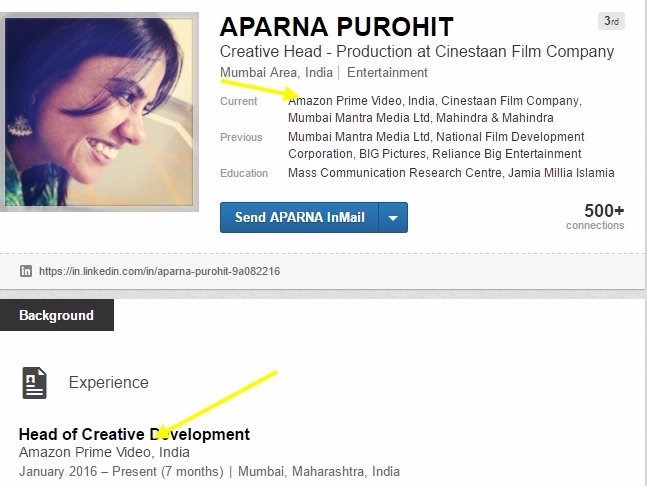 First of all, Amazon quietly hired Aparna Purohit, who is a veteran film producer and creative head with several years of experience. 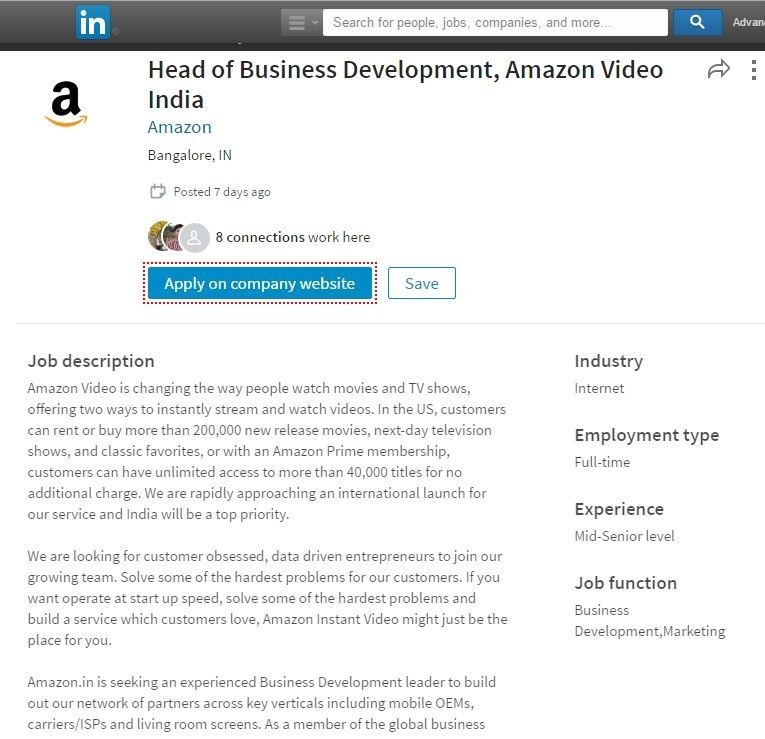 Her current bio-data on Linkedin mentions herself as ‘Head of Creative Development, Amazon Prime Video, India’. This leaves very little to doubt. Besides, representatives from Ekta Kapoor’s Balaji Telefilms and Yash Raj Productions are already in talk with Amazon Prime for creating original content. We had earlier speculated that Amazon Prime will soon launch in India, and we had even provided solid evidence of the same this year in May. Original Video Content Is The Wildcard Of Success? Home Box Office or HBO is the granddaddy of pay television service, and Internet companies like Hulu, Netflix and Amazon are attempting to replicate HBO’s success via Internet. HBO expanded their reach by creating hundreds of original shows, movies and video content, and the most visible example of this incredible success is Game of Thrones series. The 6th season which recently concluded had a per-episode budget of $10 million, as $100 million was spent on the 6th season alone. During 2nd season’s ‘Blackwater’ episode, the climactic battle scene alone cost $8 million. No doubt, Game of Thrones is the most pirated TV series in the history, as right now, an average of 23 million viewers watch GoT’s each episode. Here is a list of all original HBO series, and all original HBO movies. Netflix has it’s own set of original content to lure their viewers, which includes ‘House of Cards’, ‘Orange Is The New Black’ and the iconic movie ‘Square’. In India, after 6 months of their launch, they have partnered with Anurag Kashyap’s Phantom Films to create original video content. Reportedly, they will make original series based on author Vikram Chandra’s best selling gangster-thriller novel ‘Sacred Games’. Similarly, Hulu has their collection of original video content. With speculations of $300 million investment by Amazon for creating Prime videos, it is clear that on-demand video market in India will warm up pretty soon. Netflix Is Coming Soon To Cable & DTH In India!